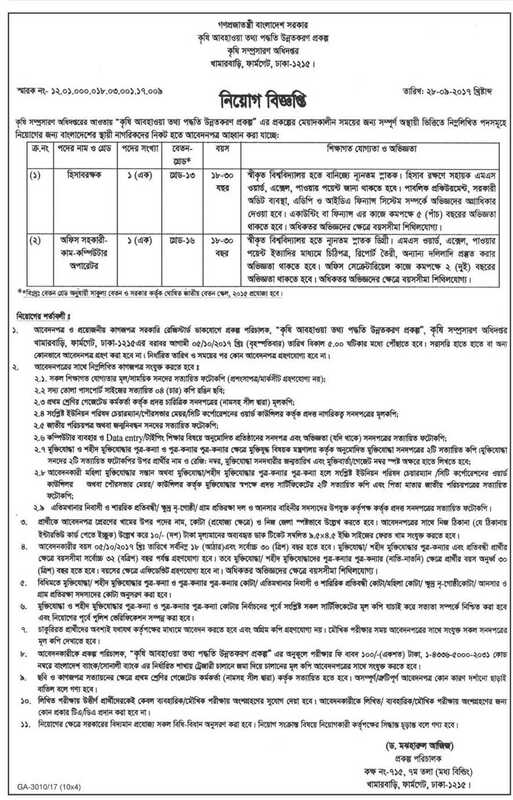 Bangladesh Department of Agricultural Extension (DAE) published New job vacancy Notice at www.dae.gov.bd . DAE job circular offer total 02 New vacancy in this post. Freedom Fighter children has a great opportunity for this govt job. Here is some short information about DAE job application method. Please read below this information attentively then try to apply before 05-10-2017.